It may sound odd in these days of social media and sound bites – but in local elections especially – voters want to know, truly know, who it is they are choosing on their ballot. They do not just wish to be vaguely aware of a grinning face, a name on a sign, a bumper sticker slogan, or a wave from a car, but a person—in the flesh—backed by a visible record of right conduct and frankness. What stands firm among all the swirling sentiments of candidates and voters alike, are concrete ways in which a SC House Member is proving his good faith by taking action, and even sacrificing precious campaign time to ensure that he holds himself accountable. This past December, Representative Greg Duckworth, voluntarily subjected himself to an audit of his campaign finances, providing independent auditors, JW Hunt and Company, LLP, with his campaign finances, thereby following the South Carolina Ethics Guidelines. Although all members of the General Assembly are subject to a random audit, Representative Duckworth thought it best to avoid the ceaseless merry-go-round of rumor and misinformation so common in campaigns, and put forth a clear-cut account of his campaign finances, thus promoting a sense of accountability among his fellow candidates, and becoming a shining example to those who will inevitably follow in years to come. While there is a fair amount of effort in providing independent auditors with one’s campaign finances, it is helpful when one’s records remain in a clear-cut condition. A candidate offering records willingly to an impartial party—records without opacity, and coming up clean, is a straight path to building a trust with fellow citizens. 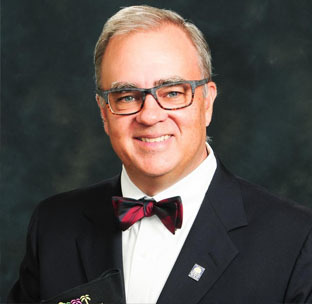 Greg Duckworth leads by example in his voluntary endeavor to do just that, and let’s just hope others follow suit. In the wake of the indictment of our former House Member, there is a general cry for more transparency on the part of those wishing to represent them. 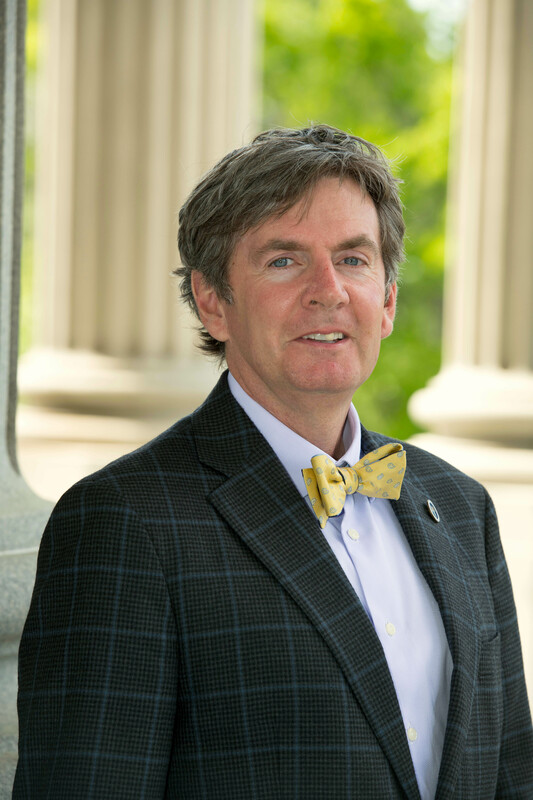 Citizens of South Carolina desire candidates who are what they profess themselves to be. 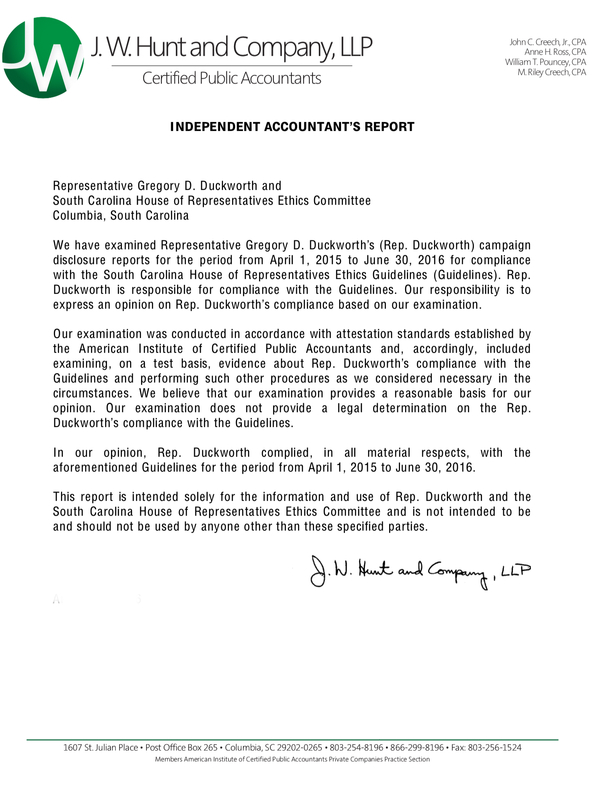 Over the course of his campaign, Greg Duckworth remains steadfast on steering clear of murky waters and shady deals. He encourages his fellow candidates to make their campaign finances available to those who can ensure their campaigns are following a legitimate course. The citizens of South Carolina do not wish to be led astray by those who are not forthright in their dealings with voters and campaign finances. It is therefore refreshing to discover a political candidate who would prefer not to charge into an election full steam ahead, without slowing down for a checkup, allowing voters to be aware of how he manages his campaign finances. When we voters elect a candidate, we believe that there should be a record regarding our representative’s financial dealings. Hopefully, if more candidates volunteer for audits such as these, the election process will be elevated from an inaccessible rabbit hole to a visible platform, whereby voters can take a deeper look at candidates, and decide whether they would like to be paired up for the next two years, or more. Look for more examples of candidates putting forth concrete effort to prove their good faith, for behind these efforts you’ll find honest and accessible candidates. Thank you to everyone for allowing me tell you about the integrity of our Representative.